Asphalt Seal Coating should be applied every 2-3 years to preserve the life of your asphalt. This helps protect your asphalt with a protective coating to resist attacks from the elements like sun, rain water, oil, and gasoline. Sealcoating surface treatments also fill in small cracks, removing the potential for major repairs in the future. Seal coating serves not only as a protectant, but also provides an attractive black coating to your driveway or parking lot, giving it the look of a newly paved surface. After years of traffic, rain water, and freezing tempatures, your asphalt will eventually adhere to the forces of nature. Unsealed cracks allow water and dirt to enter, causing more damage to your asphalt. Sealing cracks early gives your asphalt many extra years of service, and steers you clear of expensive major repairs and replacement. 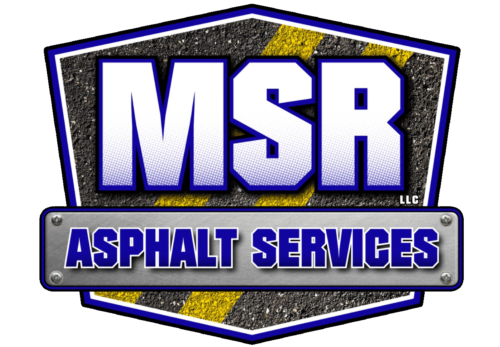 MSR Asphalt crack sealing services provides sealing of cracks 3/8″ or larger. Crack sealer is designed to seal joints and cracks. This allows for rain water to go to designated drainage areas, and not wash out your base. A clean, well-lined parking lot is the first impression you give customers visiting your business. Before even entering you business, you can make a statement of professionalism. Not only does line striping look good, but it also provides a safe flow of traffic and can ensure less accidents in your lot. MSR can provide line striping and other asphalt painting services upon request. Our team of skilled painters are fast and efficient to ensure your lot is available quickly.